The use of Growth-Driven Design (GDD) is an effective, dynamic marketing approach. Unlike traditional web design, which can be hypothesis-based and largely static, GDD is dynamic, evolutionary, and implemented based on real feedback and user data. As such, it is particularly valuable for ecommerce retailers’ websites. 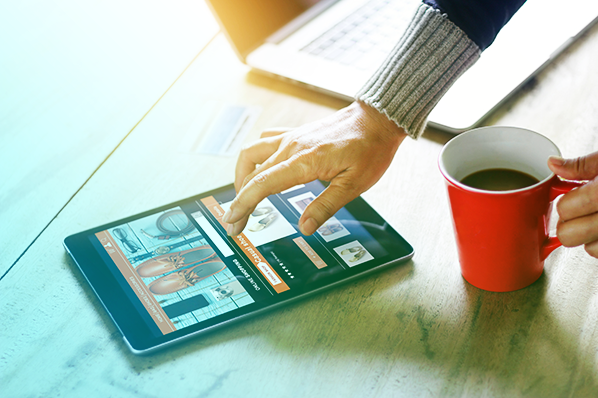 In order for an ecommerce site to be successful, it needs to contain consistently fresh, relevant, interesting and educational content that speaks directly to its customers and site visitors. Implementing Growth-Driven Design processes is an effective way to ensure that this always happens. Always start by setting S.M.A.R.T goals, developing complete buyer personas, and doing quantitative and qualitative research. Taking the time to properly lay down this groundwork will give you a realistic sense of what steps you need to take to create a top converting ecommerce site, and exactly who you need to be speaking to in order to increase traffic, drive conversions and ensure your success in the future. First, setting goals that are specific, measurable, attainable, relevant and time-bound (S.M.A.R.T) will ensure that you avoid generalizations and accurately measure your progress, keeping yourself accountable every step of the way. Instead of saying that your goal is, "to generate more revenue", set a more targeted goal like, "to increase product conversions by 10% (from 50 per month to 55 per month) in the next 6 months." That way, you'll be able to keep track of exactly how you are progressing and what else you need to do to reach your goal in a timely manner. Similarly, doing the research and creating fully-developed buyer personas will allow you to accurately segment and target all of your marketing efforts, making sure that they reach the right people at the right time. Ultimately, your goal as an online retailer is to attract, convert, close and delight your site visitors, and in order to create content that accomplishes this task you need to know who they are, what motivates them to buy and what will get them interested. Finally, getting feedback from your current customers and analyzing your current year-over-year metrics in terms of traffic, transactions, and conversion rates will guide your strategy moving forward and help you really keep track of your improvement over time. You’ll know where you’re at, who you are selling to, and where to focus your efforts in the future. With this information, you can start developing an informed and effective site, coming up with a global and page strategy that works to effectively attract, convert, close and delight your potential customers. Before you go headfirst into putting together a full website, GDD strategy suggests that you create a wishlist and Launch Pad site, always keeping the information that you discovered in the “Plan Ahead” section in mind. To create your wishlist, sit down with your team and write down all of your “a-ha” creative ideas and everything that will set you apart from your competition. If you were creating your dream ecommerce site, how would it look and what would it include? Maybe every product detail page would include a 360° image or the site would be fully integrated with all social media accounts. Clearly not all of these ideas will be implemented, but putting together this wishlist will help you develop your vision and a clear idea of what your “best website” would look like. Once you have your wishlist, do a 80/20 analysis on it, finding the top 20% of ideas that will have 80% of the impact. What are the “must-have” items on this list - what do your buyer personas want to see, and what will effectively turn them into delighted customers? This would include features like a user-friendly shopping cart and a well-designed product page. When considering these "must-haves," it's helpful to think of your website as a store and try to make it as inviting as possible. What are the basics of any good store? At the very least, work to make sure that your top 80/20 list ideas work to optimize these essential ecommerce pages. Once you have this list whittled down, put together your Launch Pad website with these top must-have features. Think of the Launch Pad website as a starter site. It won’t be perfect, but it should be launched quickly so that you can start generating valuable feedback and revenue. With a starter site up, you can quickly start analyzing data and seeing what pages are working, what products your site visitors are interested in, and where you could be losing opportunities for conversions. Are your buyer personas accurate? Are you on a path to reach your S.M.A.R.T goals? Here is where you find out. As you move forward, continue to analyze, develop and revise your site. Always keep track of your metrics, checking the effectiveness of your strategies and make any necessary changes along the way. Are site visitors bouncing on your homepage? What items on your product page are they most interested in? Are there certain blog post topics that get the most views? Staying on top of this kind of information and maintaining this dynamic relationship with your data, progress, and customers ensures that your marketing efforts are effective and that you maintain an up-to-date, successful site over time. As you analyze this data and continue to draw conclusions, make sure that you also publish all of your important findings in a central location that everyone in your company can see and take advantage of. This will not only provide a roadmap for future site changes and decisions, but also ensure that every branch of your team - development, sales, marketing, etc. - has all of the information that they need to effect positive change on your ecommerce site. Say, for example, that the data shows that products with fun, conversational descriptions have the highest conversion rates. If this information is available for all to see, then the team can effectively and cohesively implement that language in email campaigns and throughout the site. The point, then, is to transfer all of the most impactful information that has been gathered to other parts of your site in order to see a marked positive change. Looking at it more generally, then, applying GDD in this way and following these steps gives ecommerce retailers the edge that they need to create a successful site. It provides them with all of the tools that they need to take full control of their websites and its performance, ultimately creating the most high-converting, successful online presence possible. With traditional web design, this kind of precision and control is extremely difficult to achieve: without using live data and feedback to speak to their buyer personas and provide relevant content, online retailers just can't know what changes will be most effective and well-received long-term. So, while GDD may seem like a time-consuming and complex process, its dynamic, data-driven approach ultimately makes it one the best, most effective marketing strategies out there.